Last year, it was the UK’s most-streamed song of all the records released in 2010, beating hits like Lady Gaga’s Telephone and Cee-Lo’s Forget You, which outsold it at the time. 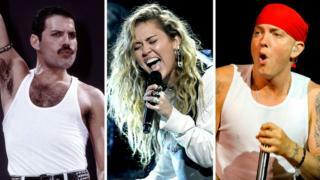 Pumped Up Kicks was played 21 million times last year, according to the BPI, which has revealed the UK’s most-streamed songs based on the year they first came out. Naïve by The Kooks has been riding high for the three years we’ve compiled these statistics,” said Crutchley. “Do you remember Maniac by Michael Sembello? It was in the film Flashdance but it never charted in the UK top 40. Now it’s getting more than four million streams a year.